The Heath Design Lab’s partnership with the Department of Family Practice at the University of British Columbia (UBC) provided software support tools to family doctors in their clinical practice. A team of Emily Carr design students researched and designed software interfaces that integrate with the workflow of the family physicians in order to enhance the management and prescription of medication. The team leveraged human-centred design practices in order to aid in the adoption of these software tools, with the ultimate goal of improving the safety and efficiency of medication management. 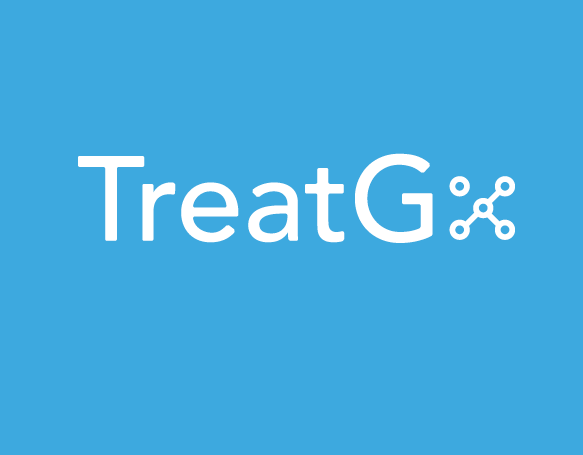 The resulting tool, called TreatGx, generates individualized medication recommendations for patients at the point of care. It combines genetic data, patient factors and the latest evidence-based research to generate the best drug recommendation while avoiding adverse drug events. The tool was tested by UBC – read the results here. The primary focus of the project was the development of the clinical decision support tool. 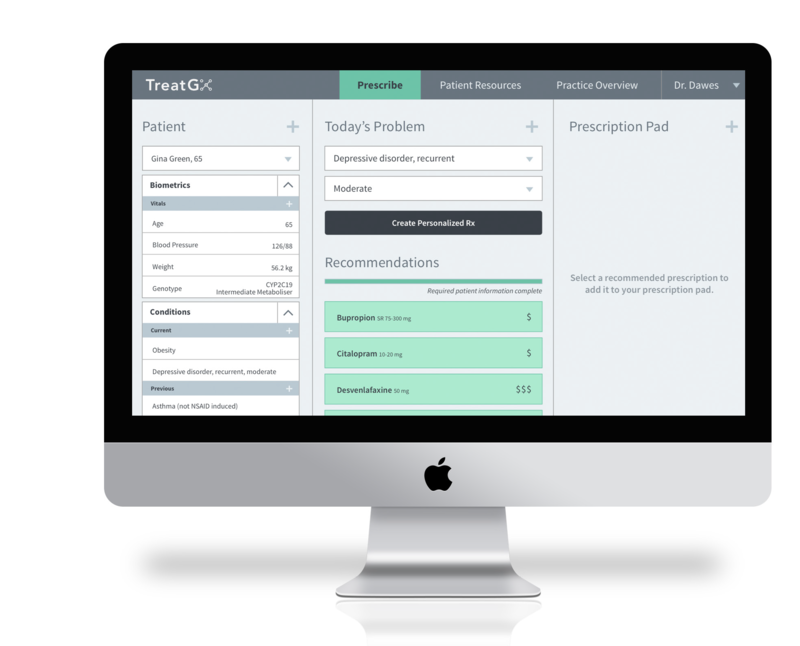 The tool utilizes an algorithm, currently under development through the UBC Department of Family Practice, which will leverage the patient’s genomic information to produce the best possible prescription option. The current needs and requirements of Family Physicians in the provision of medication was crucial in building the interface. We needed to understand the social, medical and environmental demands of a primary care practice. Primary and secondary research also indicated that building trusting relationships with patients is a central value to the practice of family physicians. Also, business needs and functional needs of physicians were intended to be supported by the latest Electronic Medical Record (EMR) software. However, the project found that physicians do not necessarily use existing software as intended, but instead work around it to support their physical and cognitive workflow. The final design, based on this and other findings, supported and simplified this workflow. This is the first tool of its kind and may lead to much better outcomes for patients.